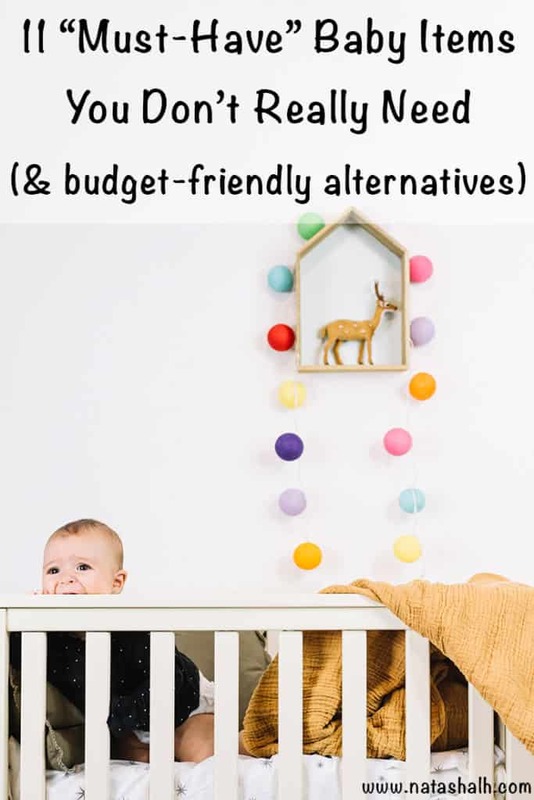 This list of baby items to not buy gives you the must-have baby things you don’t really need and budget friendly alternatives! When my husband and I started talking about kids, one of the things that made us hesitate was all the (allegedly) must-have baby items. I dislike plastic stuff in general, and plastic baby stuff is no exception. The thought of trying to shoehorn a whole bunch of bright plastic items into our small apartment really made me stop and think! Pinterest would have you believe that you basically can’t have a baby unless you live in a mansion with an enormous budget for stuff. Luckily this simply isn’t true! It is completely possible to have a baby in a smaller home or apartment. Today I’m sharing 10 must-have baby items that we’ve never owned/used and more budget and space friendly alternatives that we’ve used, instead. 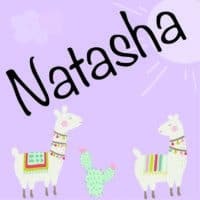 I really hope that other folks with smaller spaces, realistic budgets, and/or a more minimalist mindset find this list of must-have baby items you don’t really need helpful! Before we get into the list, I want to make it clear that our LG is an only child. 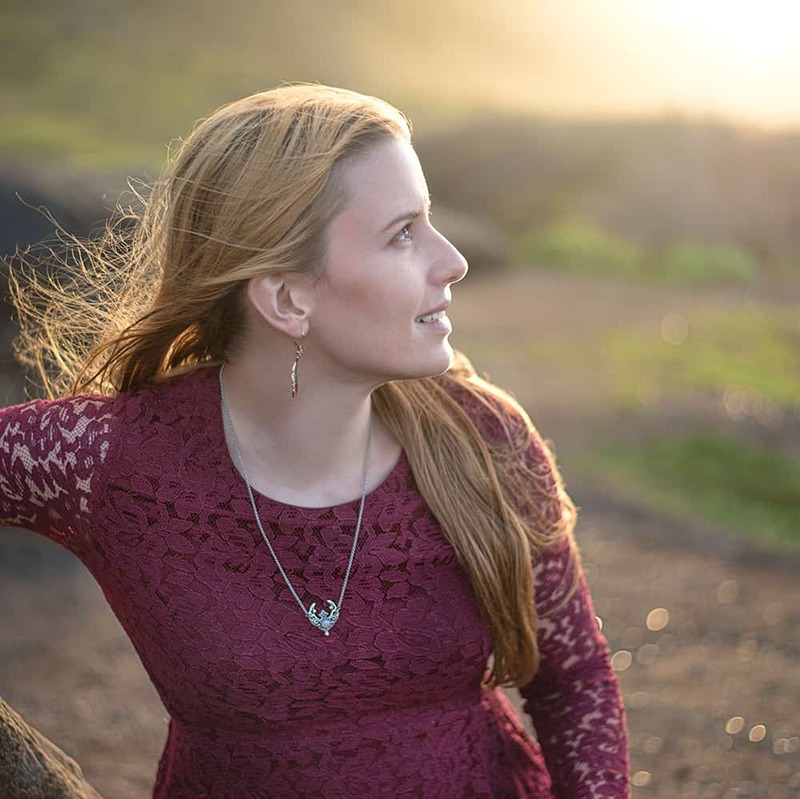 We don’t have any older children, which has certainly helped us avoid lots of “stuff.” I’d also like to make it clear that we love her to pieces, but she hasn’t been a particularly “easy” baby. I know there are many higher needs babies, babies with reflux, etc., but compared to several friend’s babies who were born around the same time, LG is a pretty demanding little lady. We’ve had our share of sleep difficulties (I’m sorry to say that she got it from her mom!) and we still get up an average of twice a night at 10 months. She screams in her carseat (putting her in it is like wrestling a screaming alligator) and has never accepted a bottle or pacifier. I’m sharing this just so you know that we haven’t been able to avoid lots of baby gear and other stuff because we have a super easy going baby because we don’t! I’d also like to be clear that I am not judging people who do use these items. Some of them, like a full-sized crib, are widely considered to be quite essential for Baby! Others are quite popular, just not right for us. Several times you’ll see me mention safety or developmental concerns associated with incorrect or over use of popular baby items. I recognize that many babies use these items and are totally fine, but I’m a worrier and I just couldn’t deal with the increased relative risk, even if the absolute risk was still low. I know I napped in a swing as a baby and I’m clearly alive and well today! Keeping Baby contained is also against our Montessori-inspired parenting philosophy. I don’t think you’re a bad person if your life situation has made you chose differently – as parents we’re all just trying to do what we need to for ourselves and our babies! However, I do think that many people are unaware of the dangers of over using baby gear and/or allowing Baby to sleep in gear. In my experience, health care providers frequently give an insufficient amount of guidance to new parents when it comes to using gear. It feels like you have to find time to really go out of your way to look up information, especially since product marketing is constantly telling you how “essential,” “good,” or “safe” a piece of gear is. A couple of my favorite sites for learning more about baby development, developmental play, and gear use are Can do Kiddo and Mama OT. Alright, with all that in mind, let’s get to the list of 11 must-have baby items you don’t really need and what you can use, instead! A swing. Technically our baby has a swing now – a wooden unicorn swing! But she’s never owned a plug-in, battery operated, or wind up swing of any type. We didn’t want the expense or to give up the space. We honestly went back and forth on this one a few times during LG’s fussiest times, but I knew I absolutely didn’t want her sleeping in a swing. Since she hates her carseat, I’m not even sure a swing would have soothed her! What to use instead: A yoga ball. We’d hold or wear LG and bounce to soothe her during that “period of peak fussiness.” Bonus: a yoga ball is a great thing to have on hand during pregnancy and your birthing time, plus you can use it for at-home workouts! A DockATot. I know people who love their DockATot, but it’s expensive and not a safe sleep environment. I know that the absolute risk is still low, but modern safe sleep recommendations have dramatically cut the incidence of SIDS. Maybe I’d have gotten a bit more sleep if we’d used a DockATot (though I honestly kind of doubt it), but I also know I could have never forgiven myself if I’d placed LG in a less safe sleep environment and something had happened. We already lived somewhere warm without air conditioning, which gave me worry enough, and I just didn’t need to add to my anxiety. What to use instead: A blanket on the floor for playtime, a bassinet for sleeping at night. A bouncer/jumper/walker/activity station. We haven’t owned or used any of these for about a million and one reasons ranging from space to cost, safety concerns, developmental reasons, and more. A lot of people consider at least one of these a total must-have lifesaver type item while they run to the bathroom or take a shower or what have you, but we’ve survived a pretty intense baby without any of them. I think that most (though not all – mobile walkers are straight up unsafe and have injured thousands of babies!) of these items would have been okay in moderation (15-20 minutes), but we’re really beyond them now. LG is on the go – cruising fast and trying to stand independently. What to use instead: The good old blanket on the floor, yoga ball, Lovevery activity gym, and carrier. As a newborn, I would frequently wear LG (I still do wear her, just not nearly as much/mostly when we’re out of the house). 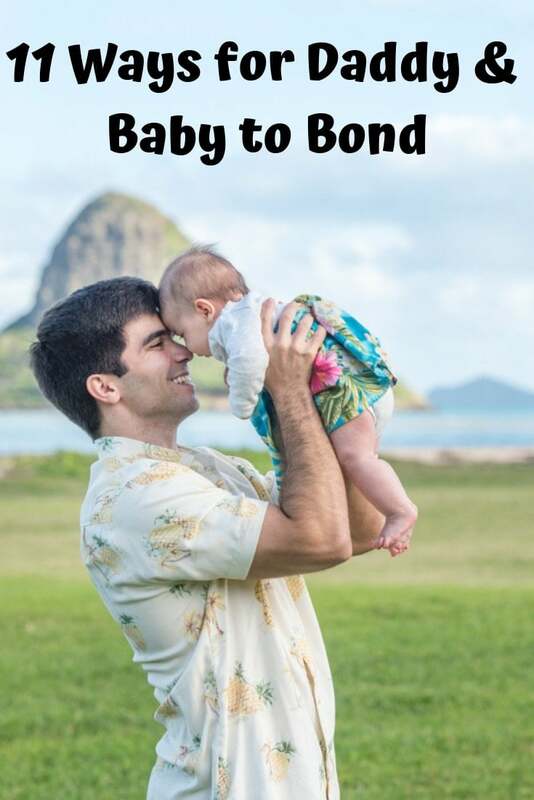 Studies suggest that baby wearing reduces crying pretty dramatically (you can read a bit more about baby wearing benefits here). I cringe when I think about how much LG might have cried during her period of peak fussiness without baby wearing because she was a pretty fussy baby during that late newborn period! For showers and bathroom runs when she was a newborn, I put a towel or blanket down on the bathmat and let her hang out on the floor. An infant positioning seat (i.e. Bumbo). Contrary to popular belief, putting Baby in a chair like this doesn’t actually help her learn how to sit on her own. 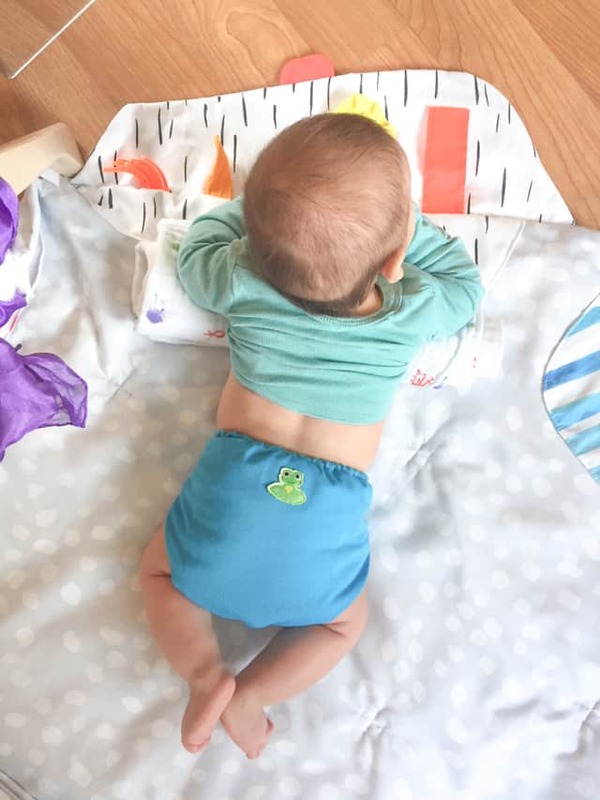 Yes, she may enjoy it, but it’s totally not necessary for development and may actually slow down independent and functional sitting (it also encourages incorrect alignment/posture). I’m sure a few minutes a day isn’t going to hurt much, but it’s just not a purchase we could justify. What to use instead: Our baby was so interested in sitting before she was really good at. Once she could sit well, she was happy for about three days before she started getting mad that she couldn’t crawl yet. To appease our wobbly sitter, we’d either help support her with our hands or set up pillows around here in case she fell. We didn’t use a pillow to truly prop her in place, but did set up a squishy ‘bonk protection’ zone. A white noise machine. Okay, so I almost bought one a couple of times, but then I realized it was totally unnecessary. If you have an old phone or tablet sitting around it’s very easy to play whatever sounds you’d like without rushing out to buy yet another doodad. A “lounging” pillow. These lounging pillows take up valuable floor real estate, aren’t safe for sleep, and don’t allow newborns the opportunity to stretch out after being scrunched up in the womb (which can translate to an increased risk for positional head deformities and developmental delays). 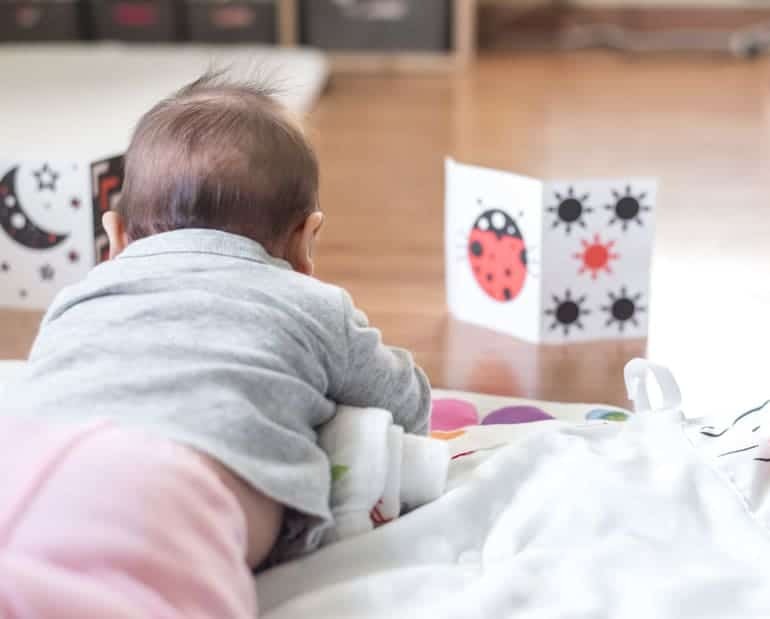 What to use instead: A blanket on the floor or the mat that comes with the free printable high contrast cards. A Boppy. The Boppy was way too large for our baby as a newborn (and way too large for our available space!). Before LG was born, I was convinced that I was going to avoid purchasing a specialty nursing pillow all together, but we were home all of one day before I changed my mind! I think now that she’s older and larger a Boppy would work, but at this point I’m not interested in buying one (and still don’t want to give up the space and $$). What to use instead: The My Brest Friend nursing pillow. It’s flat on top, unlike the somewhat rounded Boppy, takes up a lot less space, and was an absolute lifesaver. Although she’s big for it now, we’re still using it. An infant travel system. We received a hand me down infant carrier seat thingy with a base, but LG has only used it a handful of times. (Only when we were about to fly and her ‘normal’ seat was already in its bag.) We don’t really like it, and neither does she. It didn’t offer enough support as a newborn and carrying it empty was so much of a hassle I can’t imagine carrying it loaded with a baby. How do people who carry these things around not break their forearm or something?! Additionally, babies today are spending way, way too much time in their infant travel system seats. They are very restrictive, which is good for protection in the car, but can contribute to flat head syndrome and developmental delays when used outside of the car. Although it’s not communicated well to most parents, it’s recommended that young babies only spend an average of two hours a day, tops, in a carseat. What to use instead: She came home from the hospital in a rear facing convertible seat and it’s what we use. (We have the Coco Combi, which is great for smaller cars like our Mini Cooper!) She’s always fit in the convertible better, even as a tiny newborn. Not being able to use it out of the car means she’s only in it for necessary trips. A changing table. We simply didn’t have space for a changing table in our apartment! And the ones we could find locally just weren’t our style, anyway. What to use instead: A waterproof changing mat on the floor (usually on top of a blanket or rug to make it softer). We saved space and money, plus we didn’t have to worry about keeping such a close eye on LG at all times because she couldn’t roll off and hurt herself. What to use instead: LG’s first bed was a ‘travel’ bassinet on the floor, followed by a ‘travel’ mini crib. We use the Guava Lotus because we prefer it to the hand me down Pack n’ Play we had. 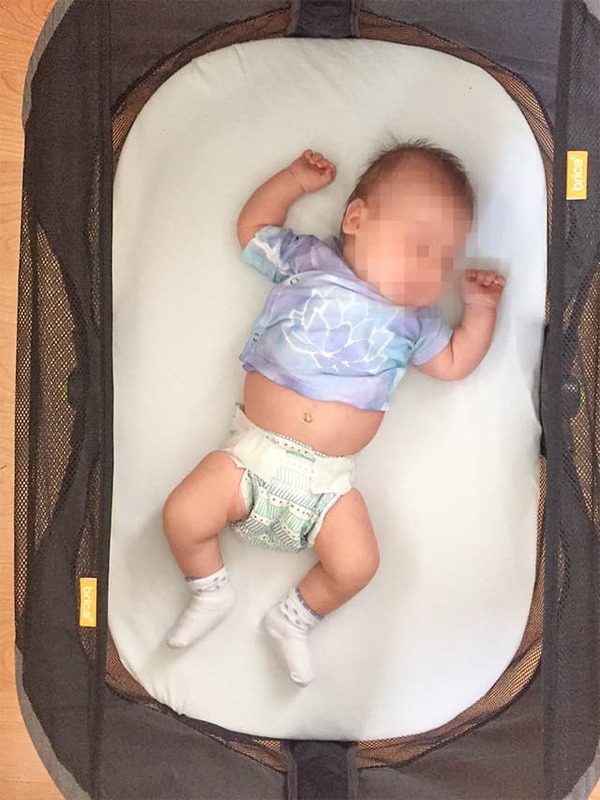 You have to buy the Guava brand sheets, which is a little annoying, but the crib feels much sturdier, is easier to set up, and it’s easier to travel with. We’re planning to start transitioning her to a Montessori-style floor bed soon. A “sippy” cup. Marketing has lead us to believe that using a sippy cup is a developmental milestone, but it isn’t. On the contrary, sippy cup use can be detrimental! (Don’t take my word for it, read this article from a dentist. The American Speech Language Hearing Association also recommends against using them.) 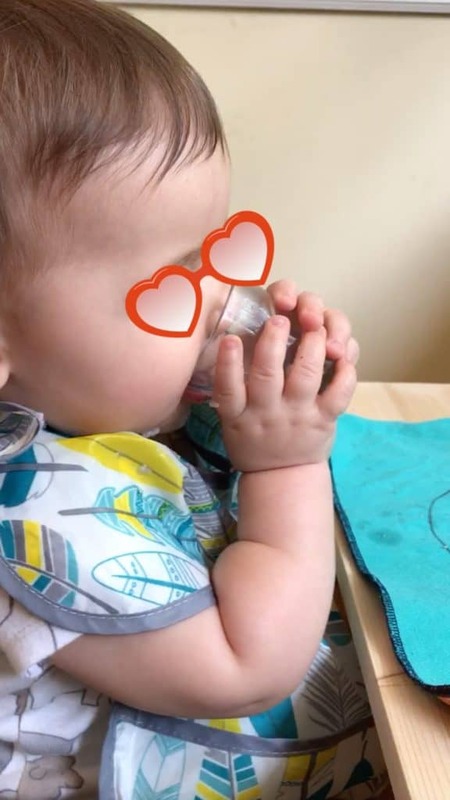 Sippy cups are decent at preventing spills, but they’re not the only choice out there! What to use instead: We use a small open cup! You can see lots of options in this post about sippy cup alternatives. 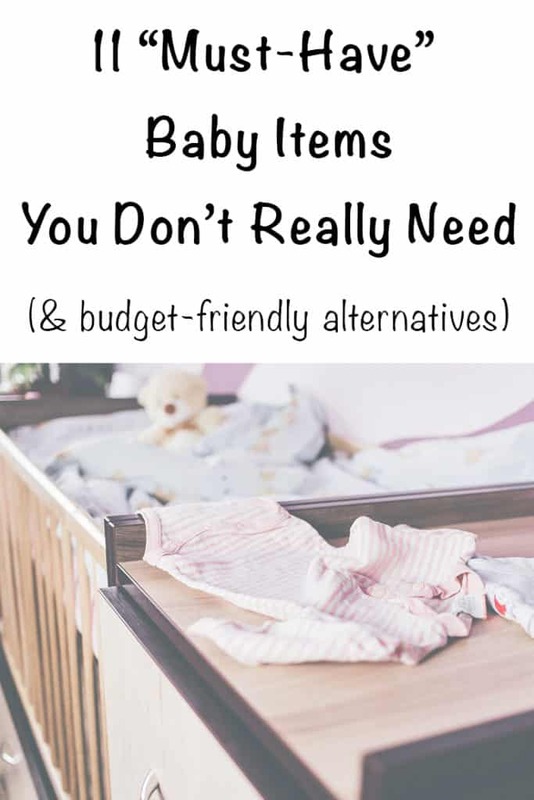 I hope you’ve enjoyed this list of must-have baby items you don’t really need and suggestions for space-saving, budget-friendly, & developmentally appropriate alternatives! We’re currently consciously paring down our possessions and trying to become more minimalist, so I’d love to hear what toddler items you’ve done without or how you’ve minimized stuff with your little one! 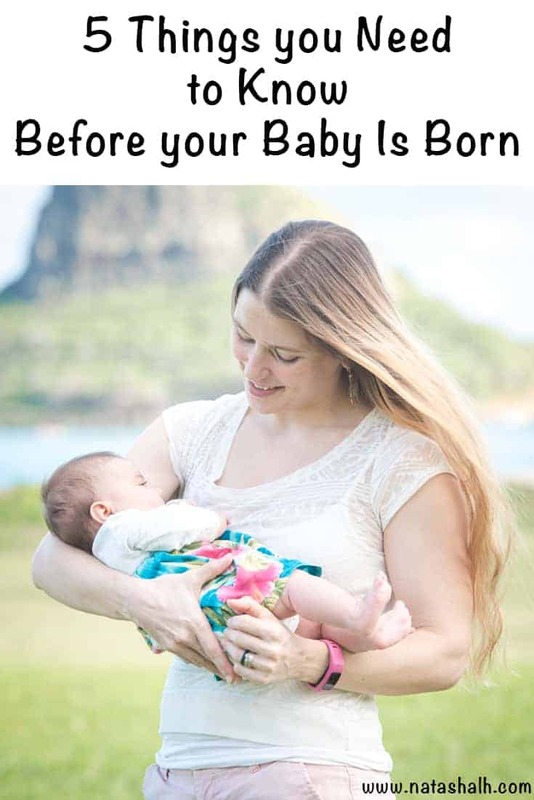 Great read for new mommies! Hehe the photos are super adorable.